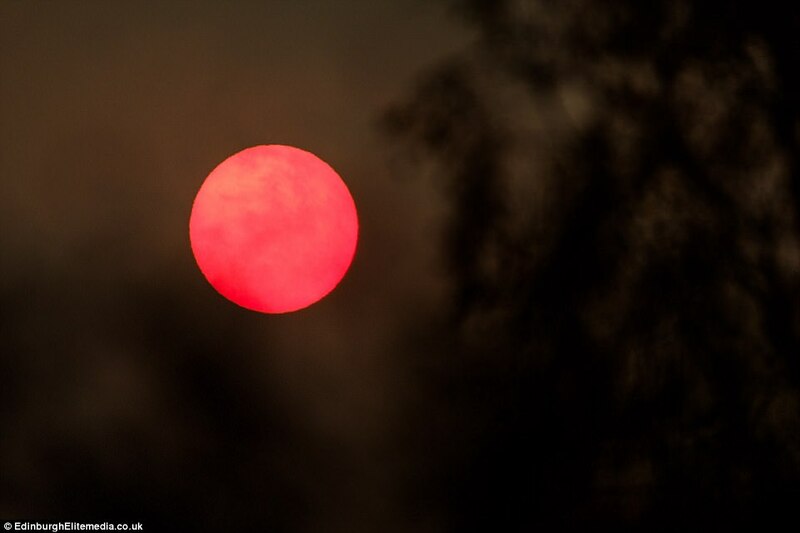 The sky went almost dark and our Sun turned blood red in parts of the UK yesterday as storm Ophelia smashed into Ireland. 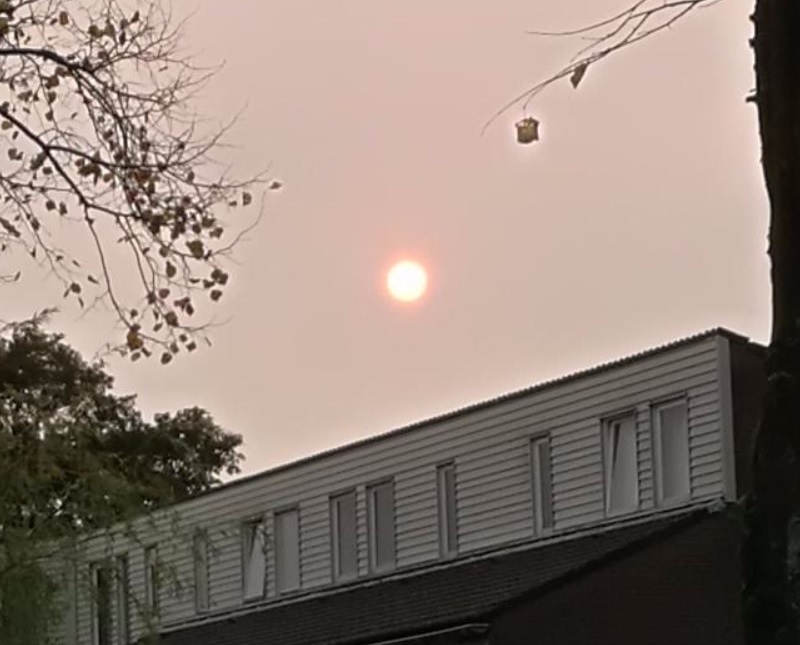 Apparently, Hurricane Ophelia sucked up sand from the Sahara desert which appeared to turn the Sun red and the sky yellow. More signs and wonders after one and a half months of hurricanes, typhoons, floods, wildfires, earthquakes and a mass of volcanic activity, oh and not to forget, one of the biggest X-class flares ever recorded. Category 3 hurricane Ophelia will claim it's own place in history after category 3 Hurricane Ophelia was the most powerful hurricane so far east in the Atlantic. The hurricane caused mini record heatwaves all over Western Africa, the UK and Ireland and Western Europe. The government of the Canary Islands issued a heatwave alert for the holiday hotspots of Fuerteventura and Lanzarote. High temperatures in the range of 34 to 38 C, 100 deg F are being forecast. Spain and Portugal reached incredible temperatures of 36 deg C, 100 deg F which led to devastating wildfires which claimed the lives of 40 people. Meanwhile, parts of the UK and Holland hit tropical temperatures of 25 deg C, almost 80 deg F on Sunday and Monday. This season has recorded 6 major hurricanes including three which reached the highest category 5 strength along with 15 named storms. It is the incredible strength of three category 5 hurricanes Harvey, Irma and Maria which caused so much devastation which will be remembered this year, and with October a big month for Atlantic hurricanes, there could be more to come. Storm Ophelia slammed into Ireland on Monday, leaving hundreds of thousands of households without power and leading to the closure of the entire public transport system and numerous businesses. At least three people were killed by falling trees when the storm made landfall with gusts of up to 150km/h battering the country's west coast. As the violent winds swept northwards from southern parts of the country, the national electricity service said that more than 230,000 customers were without power in "one of the worst storms the Irish have dealt with ever". Hurricane Skies over Holland this morning is taken from my phone.